Toby Dammit is available on The Criterion Channel as Spirits of the Dead (1968). “No One Here Gets Out Alive: Federico Fellini’s Toby Dammit” by George Porcari on lightmonkey.net (also published in CineAction 2007) — This was one of the few open-access resources I could find discussing Toby Dammit, but that doesn’t make it any less thorough or engaging to read. This is a wonderful critical introduction to a very dense and quick-moving movie. The rest of George’s website (lightmonkey.net) looks fantastic as well. The Cinema of Federico Fellini by Peter Bondanella — This is an excellent introduction to the career of Federico Fellini, featuring a solid mixture of both historical information (and biographical information) about each production and critical insight and analysis into the resultant films. There’s a whole chapter dedicated to Toby Dammit and Fellini Satyricon (1969), discussing the films as a response to the collapse of Mastorna and a turning point in Fellini’s career. 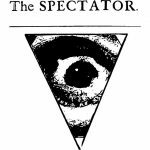 The Society of the Spectacle by Guy Debord — Not only incredibly relevant to Toby Dammit, but also one of the most important books in terms of studying mediated images and how they interact with one another in society. “An Illustrated Guide to Guy Debord’s ‘Society of the Spectacle'” by Tiernan Morgan & Lauren Purje — Here’s a fun primer on Debord’s thoughts.